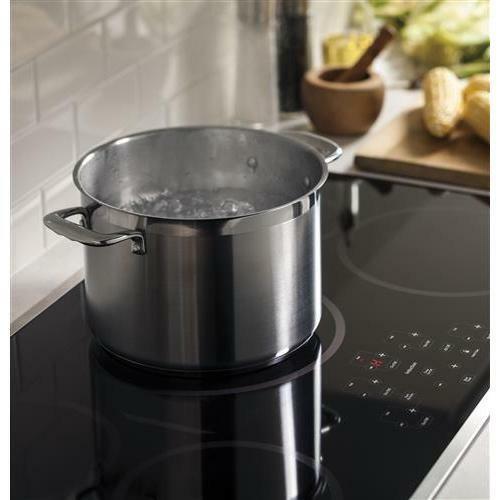 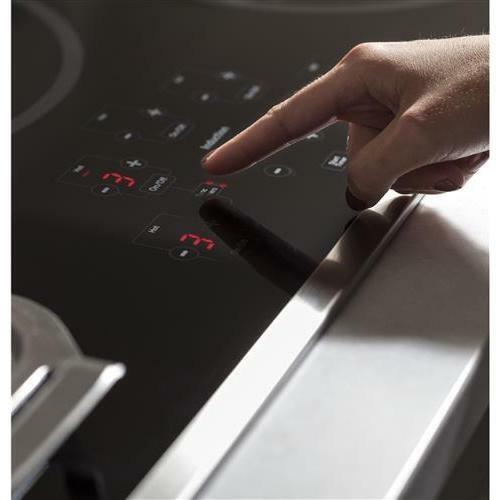 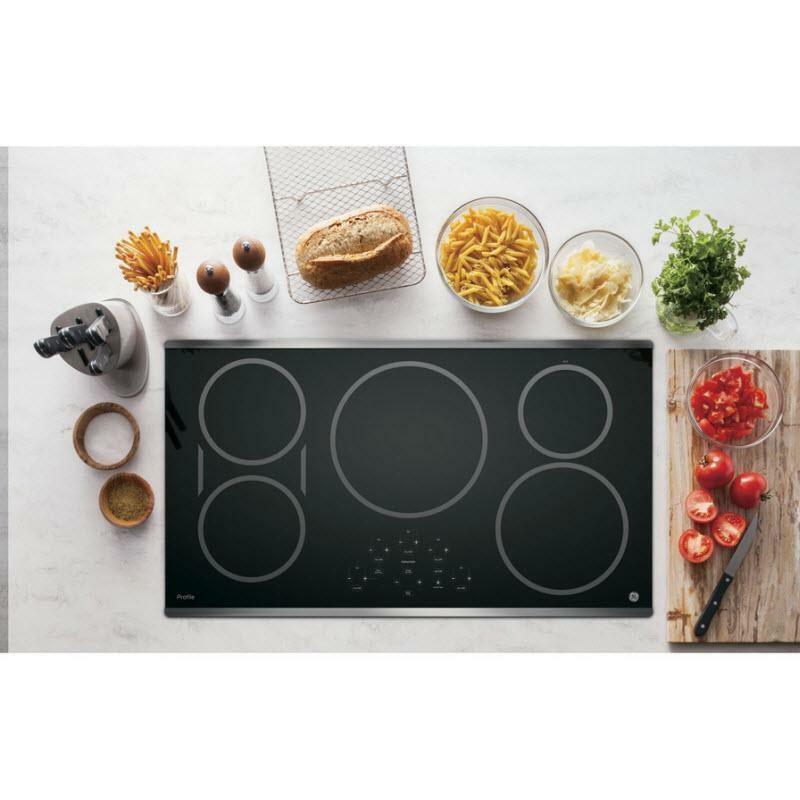 This GE Profile™ series 36" electric induction cooktop with touch controls features five induction elements that lets you enjoy a new level of rapid, precise heating with a cool-to-the-touch surface that's easy to clean. 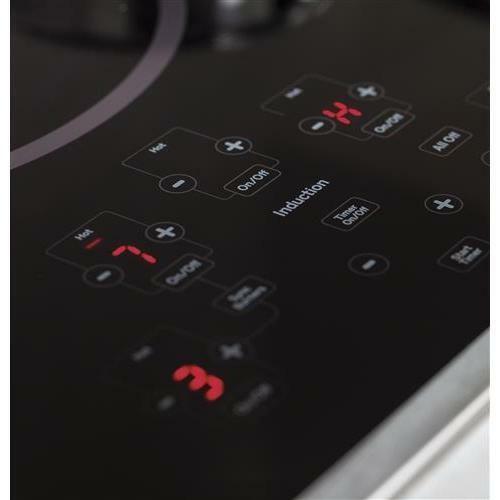 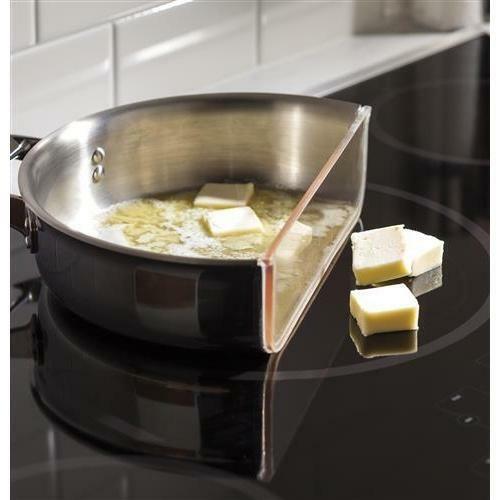 It also offers SyncBurners which controls two 7" elements simultaneously to evenly heat large cookware or griddles. 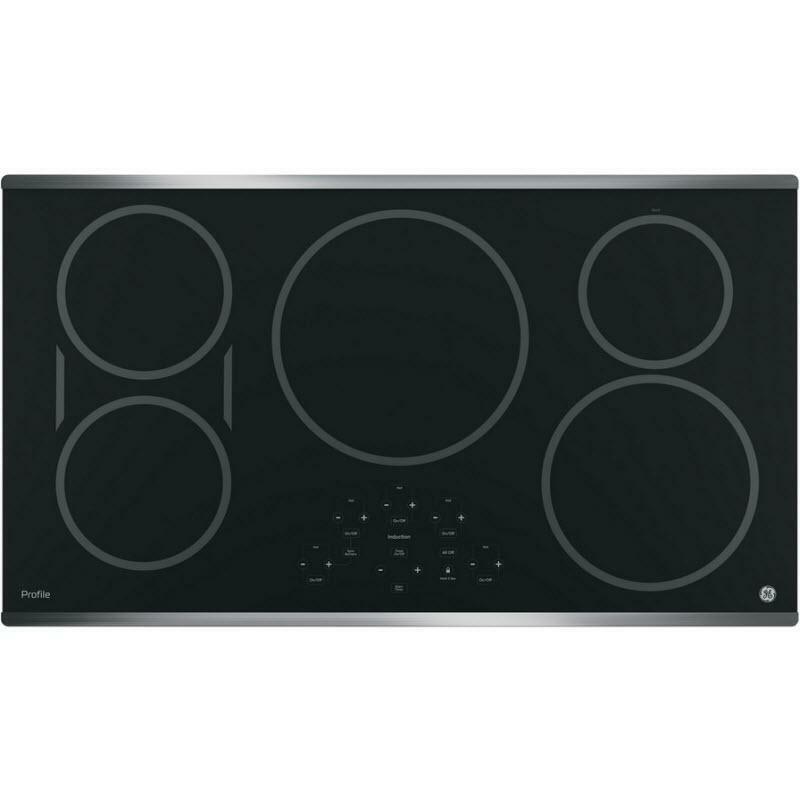 • Right front element: 8"